Straight out of my collection of supercabs! 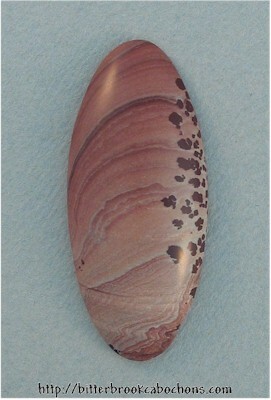 Pretty long oval with dark red spots on one side. Satin sheen. 40mm x 18mm x 6mm. Weight: 25.40 carats.